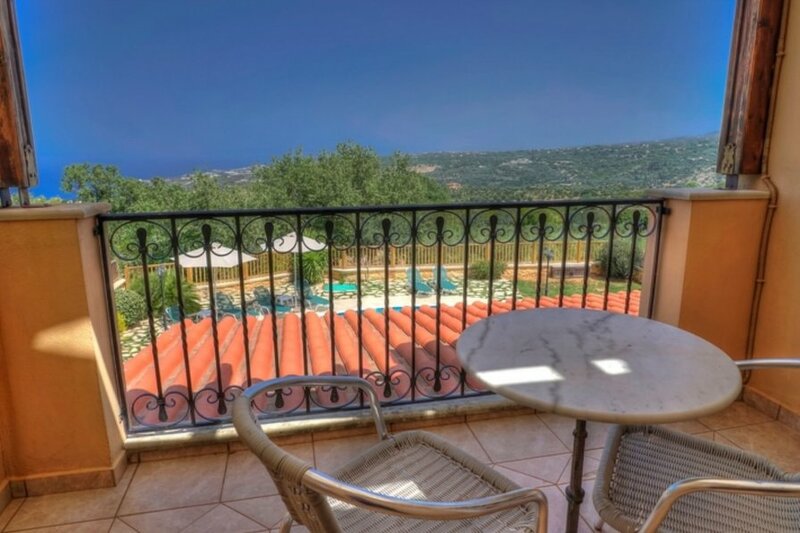 Gerani 7 km from Rethymnon: Large, comfortable villa Hloi, terraced, built in 2007, surrounded by trees. On the outskirts, in a quiet, sunny position, 2 km from the beach. Private: property 350 m2, beautiful garden to relax, swimming pool kidney shaped, with privacy (36 m2, 01.04.-31.10.). Paddling pool, garden furniture, barbecue. In the house: WiFi, air conditioning, washing machine. Linen change 2 times per week. Towel change 2 times per week. Public parking on the road. Shop 1 km, grocery 7 km, supermarket 1 km, shopping centre 7 km, restaurant 1 km, bar 8 km, bakery 1 km, cafe 1 km, sandy beach 2 km pebble beach 4 km. Please note: car recommended. Suitable for families, baby equipment on request (included). The apartment is located in a zone with limited traffic.